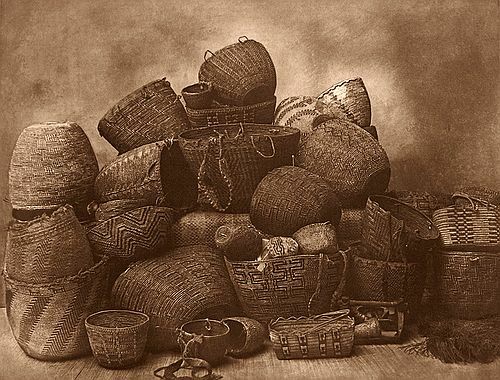 "Basketry continues to be an important industry of many Puget Sound tribes, the bulk of the product passing into the hands of dealers. Women of the Skokomish band of Twana are especially skilful in weaving soft, flexible baskets." Reprinted in 1967 from the original Curtis copper photogravure plates by master printer Deli Sacilotto for the Boston bookseller Charles Lauriat. Each sheet of wove paper is watermarked "Tweedweave" - and the edition was limited to 17 copies.